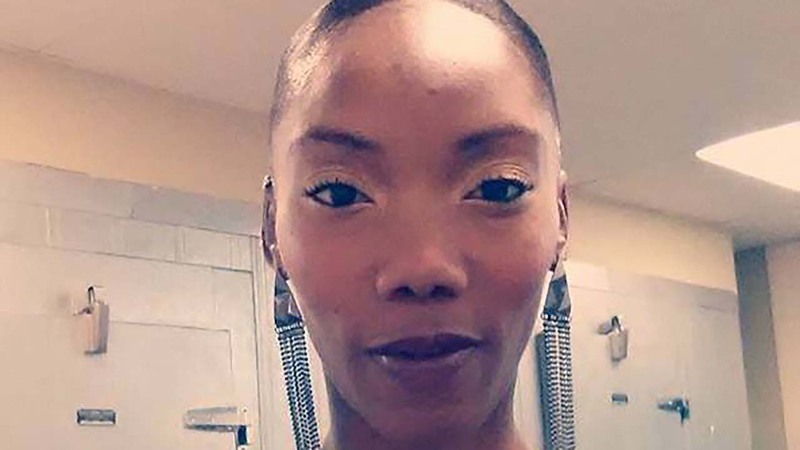 Brandy Rusher was shot on March 26 in Houston. HOUSTON -- Two people are dead and four others injured after a shooting at a Harris County apartment complex. Deputies said around 6:30 p.m. Sunday, a car with three people inside drove up to the Haverstock Hills Apartment complex, and a man with a high-powered rifle opened fire. The suspect then got back in the car and was driven away. Two people were killed in the shooting, and four others were left injured. Brandy Rusher, a former contestant on "America's Next Top Model," and Isiah Rusher were injured during the shooting, friends confirmed to ABC13. Witnesses say dozens of shots were fired into a crowd, killing two people and wounding four others, including a 16-year-old. Christopher Beatty and Wayne Rusher were identified by authorities on Monday as the victims who died in the shooting. Deputies reported the shooting happened in the 5000 block of Aldine Bender Rd. at the Haverstock Hill apartments. Deputies said there were two sets of people arguing Sunday afternoon right before the shooting. The suspect used a semi-automatic rifle to gun down the six victims, deputies said. He fired 15 to 18 rounds into the crowd before getting back in the car and leaving the area. The complex has seen trouble in the past, but recently has seen more deputies patrolling the area. "Haverstock Hills has been a project the sheriff's office had for several years now," says Harris County Deputy Thomas Gilliland. "We do have an office here, we do have deputies that work here overtime." The suspects are described as heavy set black men in their early 30s. They were last seen driving away from the scene in a white, four-door vehicle.